One hundred mix-and-match cards allow you to quickly develop a personalized routine With The Yoga Sequencing Deck, practitioners of all levels can craft original yoga classes and practices right at home. Featuring 75 strengthening and healing positions drawn from Ashtanga and Vinyasa traditions, this deck of cards is the ideal tool for creating a highly effective and balanced yoga routine. Perfect for beginner yogis, experienced practitioners, and yoga teachers alike, these simple cards provide a straight-forward way to lay out a sequence of positions and visually experiment with different arrangements to achieve the best. Each card also stands on its own as a flashcard, featuring a photograph of the position or variation, its Sanskrit name, and English translation -- the perfect way to learn both terminology and proper alignment. 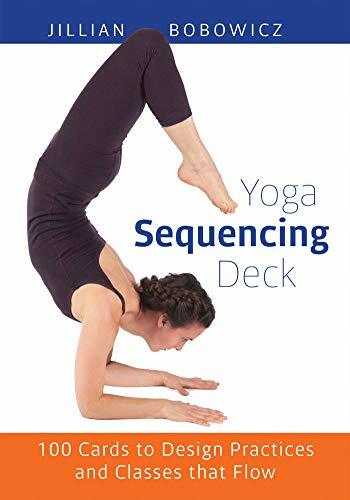 In addition to the 75 unique positions, The Yoga Sequencing Deck features 25 "transition" cards to help you indicate when in the routine to take a full, resetting vinyasa between postures. Jillian Bobowicz is a professional yoga instructor at the national studio Yoga Works.